Adam West's Batman shakes a mean cape! I'm feeling inspired after watching the entire Batman TV series on Blu-Ray. The colors, the absurdity, the fashion, the villains, the multi-layered performances, the bad performances, the fun! 10"x12" signed prints available: e-mail for information. The latest addition to Oh, My Stars! is Julie Newmar's Catwoman! Reruns of the 1960s Batman TV series introduced me to not only the Batman mythos, but the joy of balls-out camp, pop art, and the ethereal being that is/was Eartha Kitt: my favorite Catwoman. The way she smilingly spat or slinked her lines while heating up the screen enraptured me. She brought an energy to the show that was a complete change from Julie Newmar. She brought danger. Beyond Catwoman, I find her to be a fascinating performer; the type that rarely exists in our culture anymore. She's hard for me to write about because her work is unclassifiable in its originality. What I'll say is that she and the performances she left behind are complex and thrilling, and her soul baring bravery is inspiring. Available as prints in various sizes and formats, poster, postcard, card: http://www.redbubble.com/people/raycaspio/art/6507277-1-the-terrific-trio Available as a t-shirt (men, women, children, babies): http://www.redbubble.com/people/raycaspio/t-shirts/6507293-1-the-terrific-trio My last illustration of 2010 is something that's been in my sketchbook for awhile: Batman, Batgirl, and Robin: The Terrific Trio. It's based on the 1960's Batman television series, which I happen to love. I don't really care for Batman in the comics, but in a live action or animated (most of the time) format, I'm fine with him. 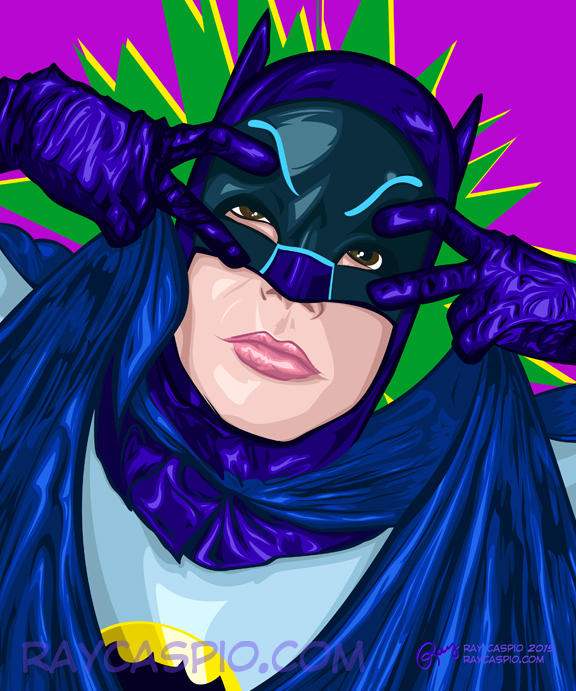 Originally, the illustration was going to be Batman (Adam West). Then it was going to be Batman and Robin (Burt Ward). Then, I had to include my favorite: Batgirl (Yvonne Craig), in one of my most favorite superhero costumes ever. 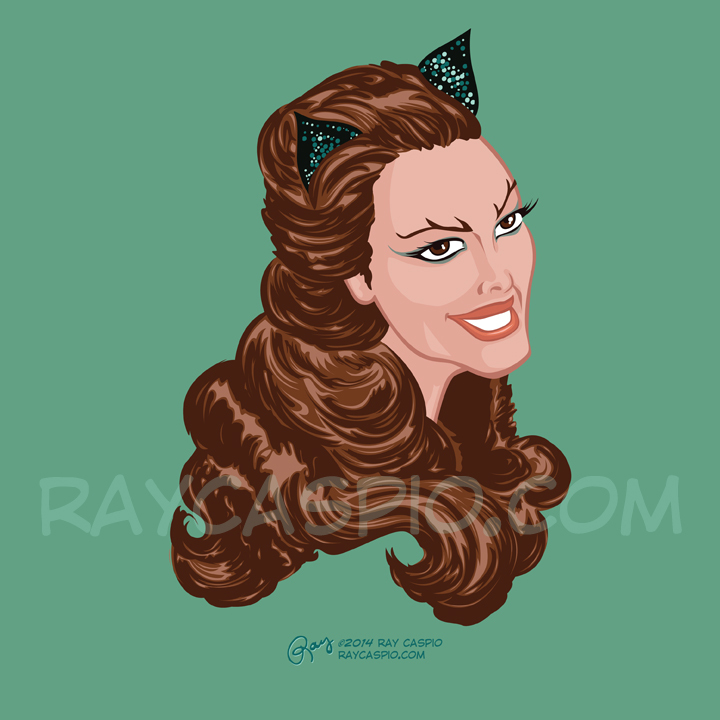 Maybe at some point down the line, I'll draw some of my favorite villains: Julie Newmar and Eartha Kitt as Catwoman, Ethel Merman as Lola Lasagna, Vincent Price as Egghead, and Tallulah Bankhead as Black Widow. After a lot of starts and stops, here's the illustration!